The Guns are a professional, gifted 4-piece rock, pop, funk, soul and indie band from London, UK. We are originally from Italy, but are currently living in London, working hard to make a life in the music & entertainment industries. We have recently joined Alive Network Entertainment Agency as an exclusive party and wedding band (you can't book us anywhere else!) after performing live at the Alive Network London auditions in April 2014. 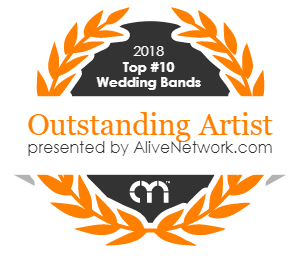 Before we joined Alive Network, we have been performing together for years - both in the London music scene and internationally, so we are all accomplished and talented musicians. Luka is said to have been one of the best guitarists Alive Network has ever seen! All memebers of the band are experienced musicians who worked with great artists from all around the world. We played, supported and did session work with artists like: Blue, Omar, Hawk House, George Ezra, John Philip Shenale (Tori Amos, Janes Addiction), Francis Hylton (Incognito, Chaka Kahn) and Rick Lion James (Daniel Badingfield, Tinie Tempah) just to name a few. Members have also supported artists on the Pyramid Stage at Glastonbury Festival! So if you are looking for a band that will take the roof off your party with explosive performances of the greatest rock, pop, funk and soul music around - search no further...you have arrived.